Coming Soon: the return of the Watch List feature. Here is a sneak peek into how it works. We’re having a lot of fun trying it out and hope you will too! 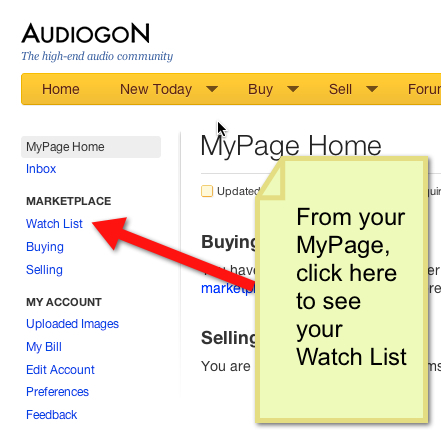 Starting a “Watch List” on Audiogon is as simple as 1, 2, 3! 1. 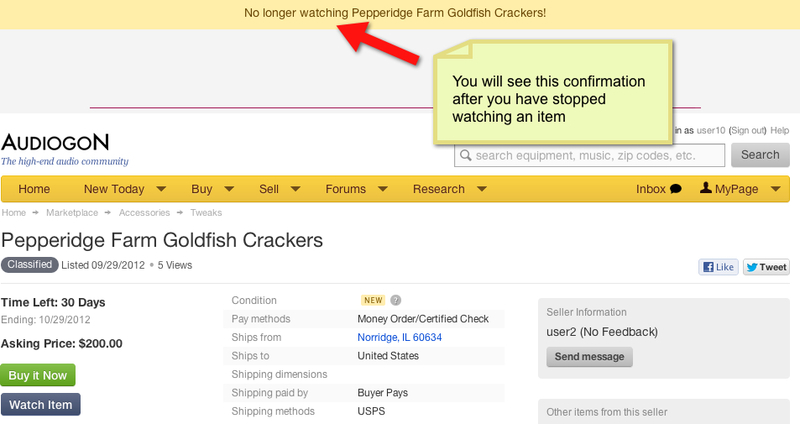 After you log in to your account, locate the listing you’d like to keep tabs on and simply click on the “Watch Item” button (shown below). 2. 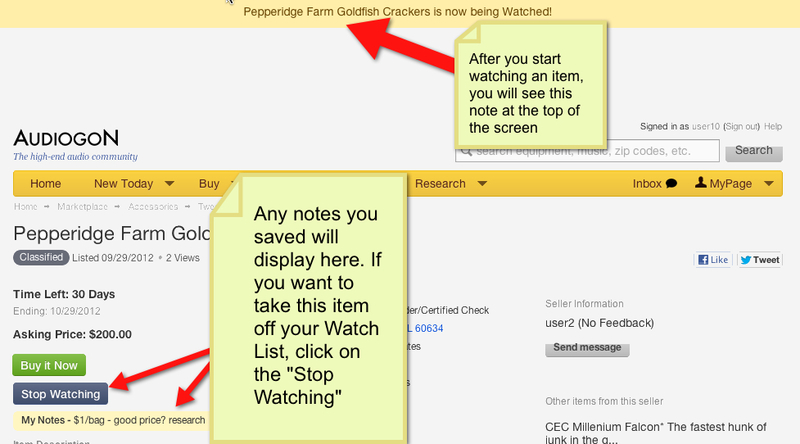 For those of you who like to leave a breadcrumb trail so you don’t forget why you started watching an item in the first place, there’s a handy “notes” feature built right in. 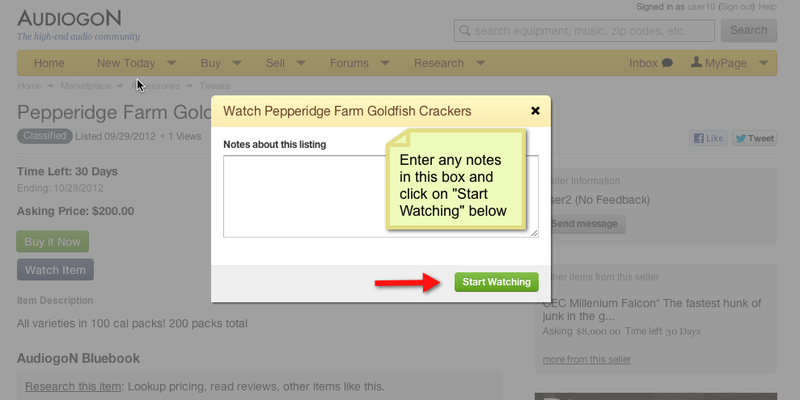 Accessing your Watch List is as easy as pie – just log in to your MyPage! Why not try watching a few items and let us know what you think. We want to HEAR from you! You can let us know in the comments section below, tweet us, or post a message on our Facebook or Google+ pages. As always, our Support Team is ready to assist you with any questions you may have, as well.